A Malibu screening room pairing the Carl Tatz Design (CTD) proprietary speaker tuning protocol – the PhantomFocus System™ – withthe home theater industry’s flagship sound system, JBL Synthesis. Nashville, TN, September 23, 2010 — Modern day recording studio design merges with home theater design by pairing the Carl Tatz Design (CTD) proprietary speaker tuning protocol – the PhantomFocus System™ (http://www.carltatzdesign.com/phantomFocus-system.html) – withthe home theater industry’s flagship sound system, JBL Synthesis (http://www.jblsynthesis.com).CTD is uniquely positioned to design home theater rooms by drawing on its extensive professional recording studio design and the critically acclaimed PhantomFocus System technology where the theater “money seat” cashes in, in a staggering way. Once the basic acoustic treatment has been accomplished, Carl Tatz Design’s proprietary PhantomFocus™ System offers clients a unique opportunity to have a truly world class monitoring experience in their room, no matter how modest they may perceive it to be. The PhantomFocus System allows their monitors of choice to perform accurately at a full 20Hz to 20KHz frequency response with pinpoint imaging in an almost holographic sweet spot — this enables their mixes to travel anywhere with a new level of sonic accuracy. There are approximately fifty steps in the proprietary PhantomFocus System implementation protocol, some of which may include phase and laser alignment, damping, isolation mounts, careful assessment of engineer/speaker placement relative to their room’s primary axial modes, proprietary speaker distance and angle, crossover points for pass filtering, and finally parametric equalization. Hardware can include monitor stands, concrete, sorbothane and other isolation materials, custom floating plenum mounts, subwoofer system, custom crossover, parametric equalizers and the monitors themselves (passive or active). The evaluation and implementation is a full two-day process and can be applied to nearfields, midfields, and large soffit mounted monitors, regardless of manufacturer. Carl Tatz Design can install the PhantomFocus System in existing control rooms or in studios that are designed and built from the ground up by CTD. The result is like the aural equivalent of HD TV. Once you experience a PhantomFocus Monitor System, you can’t go back. 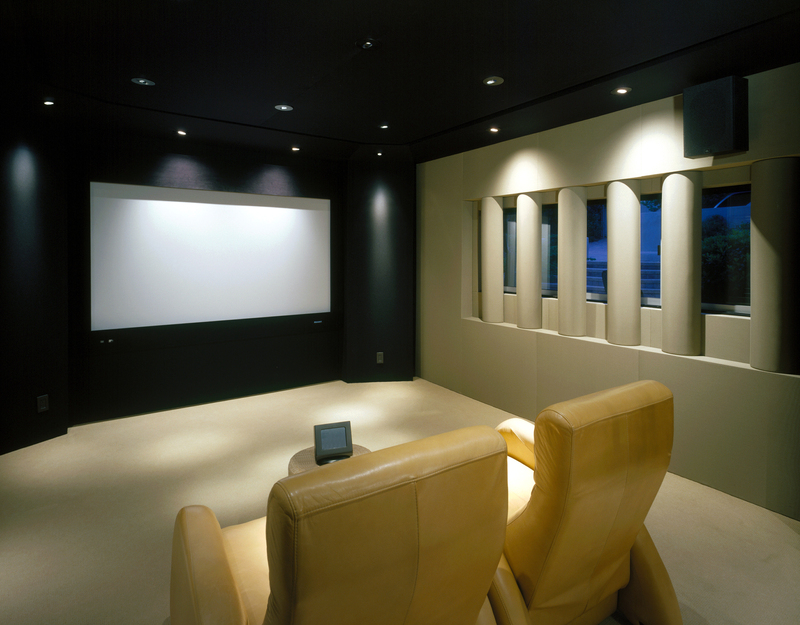 Photo Caption: A Malibu screening room pairing the Carl Tatz Design (CTD) proprietary speaker tuning protocol – the PhantomFocus System™ – withthe home theater industry’s flagship sound system, JBL Synthesis.